Note: We are sorry but this feature is no longer supported in current version of CloverDX. Users who are using CloverDX for data-warehousing often need to create a data transformation which populates DWH fact table with transaction data from source system. Each such transformation contains many components that join keys from dimensional tables to processing records. There is no problem, in case a user uses only few dimensional tables in process of loading fact table. But if there are much more tables, it is quite uncomfortable to build a whole transformation graph and set all components, create needed metadata and establish a database connection after that. For this we created in CloverDX 3.0 a brand new Fact Table Load Wizard that dramatically simplifies and speeds up development process of a transformation. This wizard can be found in the menu of CloverDX wizards. What does a user needs as an input into the wizard is just a data file with source data which should be loaded into the fact table and a metadata describing structure of this data file. 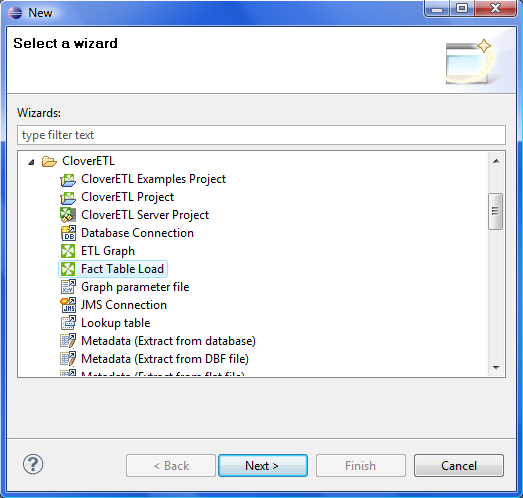 As the input exists, a user can use the wizard and enter requested information. For more information how to use the wizard please see related documentation on the official CloverDX web site. 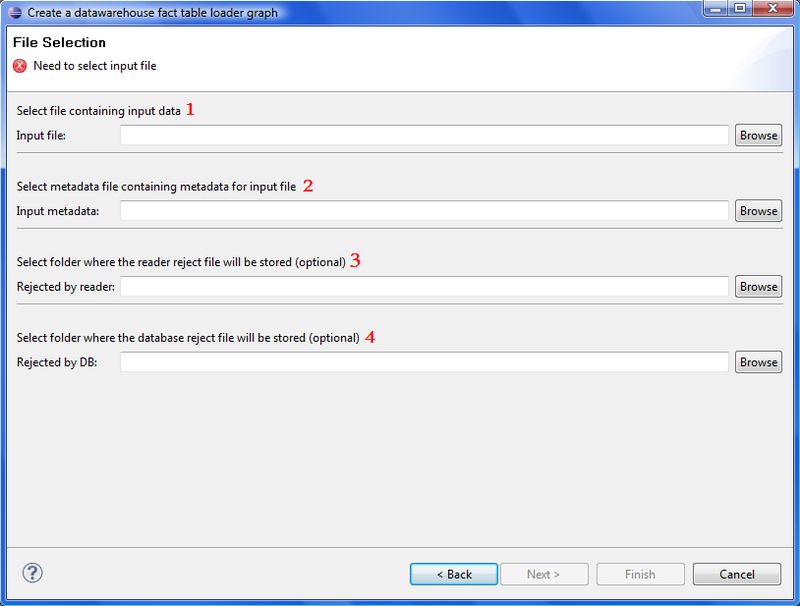 The wizard generates ready-to-run graphs, but a user is welcome to change whatever is needed. Posted on August 24, 2010.